Knowing that you want to buy a used vehicle is just the first step in the buying process. If you have it narrowed down to looking for used Dodge cars for sale in Edmonds, then you are just another step closer to getting everything that you need in a new to you vehicle. Carson Cars is always going to have the pricing and selection that you need to help you have a stellar buying experience from start to finish. Pair that with an award winning customer service team and there is simply nothing better. There is something special about being able to drive around in a quality crafted vehicle such as a Dodge car. This is a brand that is very well known in the automotive world for classic styling, performance and reliability. Whether you have owned a Dodge in the past or this is the very first one that you are considering, you are not going to be disappointed. Do you already know the model that you are interested in from the Dodge family? If so, feel free to contact the sales team at Carson Cars in advance so that we can line up the perfect options for you to view and take for a test drive. Are you shopping for a vehicle for a first time driver? We will make sure that we help you to find a Dodge that is going to be a solid vehicle to give you added peace of mind that your teen is safe on the roads at all times. 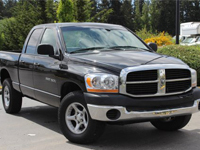 Buy your next vehicle with Carson Cars and shop used Dodge cars for sale in Edmonds. Call us (855)583-9356 today for selection and pricing information.